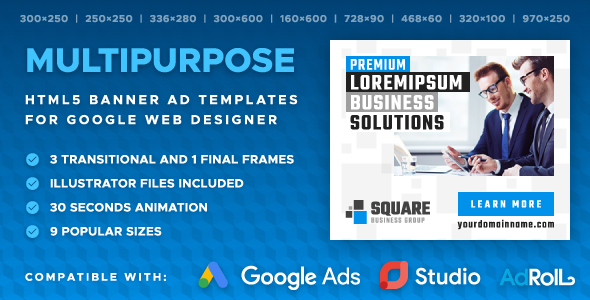 Square – Multipurpose Animated Banner Ad Templates for Google Ads, Studio, AdRoll, and other suitable advertising platforms. Easy to use and customize with Google Web Designer free software. Images used in the template are not included in the main download file, they are only for the preview purpose.